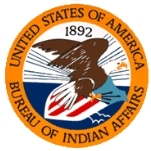 The Bureau of Indian Affairs (BIA) is a federal agency within the Department of Interior. The BIA is responsible for the administration and management of 55.7 million acres of land held in trust by the United States for American Indians, Indian tribes, and Alaska Natives. Although there are 561 federally recognized tribal governments, it is the BIA that controls the development of forestlands, leasing assets on these lands, directing agricultural programs, protecting water and land rights, developing and maintaining infrastructure and economic development. The BIA also provides education services to 48,000 Native Americans. The BIA had its beginnings in 1775 when a trio of Indian agencies were created by the Second Continental Congress to negotiate treaties with Native Americans and secure their neutrality during the American Revolutionary War. In 1789, Congress moved all Native American relations to the War Department, which had just formed that year. Today, the War Department is known as the Department of Defense. In 1806, Congress established a Superintendent of Indian Trade in the War Department whose responsibility it was to maintain the factory trading network of the fur trade. When the factory system ended, it left a hole in the network of relations between the U.S. government and Native Americans. Seeing this, then Secretary of War John C. Calhoun created the Bureau of Indian Affairs (also referred to as the Office of Indian Affairs or Indian Office until 1849), in 1824, but he did so without Congressional approval. Nonetheless, the bureau attained viability inside the Department of War and was officially transferred to the Department of the Interior in 1849. Over the years, the BIA has garnered much criticism for its actions, including inadequate program and policy management, as well as fraudulent dealings with Native American resources. In 1943, the U.S. Senate conducted a survey in response to concerns over the condition of Indian reservations. The survey concluded that conditions on the reservations were extremely poor and faulted the BIA and the federal bureaucracy. In response, the Federal government created the policy of Termination, wherein the government’s trusteeship of reservations was terminated. In 1953, this policy became official through House Concurrent Resolution 108 and Public Law 280. On the surface, Termination policy had a certain lure. House Resolution 108 essentially gave Native Americans independence by terminating their status as wards of the United States. The resolution grants Native Americans all of the “rights and prerogatives pertaining to American citizenship.” It also holds them to the same laws and entitles them to the same privileges and responsibilities applicable to other U.S. citizens. Indian reservations did receive autonomy from the Federal government, but Public Law 280 gave State governments jurisdiction over reservations. Unfortunately the results of these measures were largely painful. One hundred and nine tribes were effectively terminated, more than one million acres of trust land lost protected status and 13,263 Native Americans lost tribal affiliation. The land that lost protected status was converted to private ownership, much of which was taken over by the federal government, particularly those areas that were rich in resources. States were not given increased funding to support the additional lands placed under their jurisdiction, and many Native Americans were forced onto public assistance rolls. Termination policy is widely seen to have had devastating effects on tribal autonomy, culture and economic viability. This era of degenerate policy began at the heels of the General Allotments Act’s doling out of Native lands. The act, which was instituted in 1887, called for the division of tribal land holdings. Small parcels were to be allotted to individual tribal members and the remainder would be opened to public settlement. In 1887, there were 138 million acres in tribal hands. By the time the allotment ended in 1934, only 48 million acres remained. Just ten million acres were owned by individual Native Americans, and the U.S. government retained the powers of sale and lease of both the land and all its resources, including oil, timber and gas (Human Rights Magazine). Termination policy, which was in effect the same plan as the General Allotment Act, began just nine years later in 1943. During the 1960s and 1970s, many tribes fought to regain their rights. One result of this struggle was the institution of Indian rights organizations such as the American Indian Movement (AIM). AIM’s mission was to make the public aware of Native American civil rights violations, as well as the government’s flippancy toward Indian interests. To this end, AIM famously seized the BIA headquarters in Washington in 1972, and in 1973 became engaged in an armed standoff with the U.S. Marshals Service at Wounded Knee, South Dakota. The FBI continuously tried to stifle the activities of AIM, paying informants to report on its activities and members, as well as using various intimidation tactics including violence. Despite this, AIM continues to bring successful suit against the federal government for the protection of Native American rights. BIA responsibilities and programs include the management of Indian trust accounts; tribal legitimacy; education; land management and resource protection; law enforcement; land consolidation; and the dispersion of certain federal grants. - The Office of Trust Funds Management of the BIA holds in trust 11 million acres for Native Americans. It is then responsible for distributing the funds, Individual Indian Monies, generated from timber sales, agricultural and oil leases. The Office of Trust Funds Management also administers Tribal Trust Accounts. Severe corruption in this branch of the BIA is currently under litigation (see the Cobell Litigation section below). - The Office of Federal Acknowledgement is within the Office of the Assistant Secretary-Indian Affairs who runs the BIA. It’s the responsibility of this office to process the petitions of tribes seeking Federal recognition. This office is also enmeshed in controversy (see Tribal Recognition section below). - The Office of Indian Education Programs (OIEP) is a national education system that has responsibility for 184 elementary and secondary schools for Native Americans, as well as 27 colleges. - The Natural Resource Programs have responsibility Native American tribes to protect water, water rights, fish, wildlife and parks, as well as forest, agriculture and range management. - The Law Enforcement Program enforces Federal and Tribal laws on reservations, investigates criminal activity, and provides detention and correctional facilities, as well as officer training and community outreach programs. - The Indian Land Consolidation program purchases small ownership interests in Indian land allotments. This program is intended to prevent further division of the interests among individual owners. - The BIA does have a loan program whose purpose is to encourage economic growth in Native American communities. - In the past the BIA also conducted the relocation programs that forced Native Americans onto Reservations. The primary stakeholders affected by the BIA should of course be Native Americans. Unfortunately, there is a broad spectrum of those who face potential profits and losses dependant on BIA policy, and therefore seek to influence the BIA. These stakeholders include mining companies, non-Indian casinos, residents and business owners in areas of proposed Indian casinos, residents and business potentially affected by tribal recognition, and the federal government itself, among others. As early as 1915, the D.C. Circuit Court of Appeals found the management of the trust to be “hopelessly inept.” One congressional report described the Department of the Interior’s (and therefore the BIA’s) questionable management as “fraud, corruption and institutional incompetence almost beyond the possibility of comprehension” (Human Rights Magazine). Although the BIA homepage is currently frozen due to the litigation, the Department of the Interior has posted a page that asserts its commitment to “charting a new course for positive, productive trust reform” (DOI – Trust Reform). The BIA’s role in acknowledging tribal legitimacy is one of the largest bureaucratic controversies that enmesh the BIA. The Office of Federal Acknowledgement, formerly the Branch of Acknowledgement and Research, of the BIA is essentially the government’s arbiter of tribal authenticity. Traditionally at stake for Native American members of petitioning tribes are healthcare, education and housing, as well as a government-to-government relationship with the United States. These elements equate to high monetary costs to the U.S. government, as well as a loss of control where tribal governments are established and recognized. For these reasons, tribal petitions for recognition have long incited political clashes and legal struggles, but the advent of tribal gaming has compounded and broadened the playing field of controversy, as increased amounts of money and land are involved. Tribes today are queued for years before their petitions are considered; some have been waiting since the 1970s for recognition. Yucca Mountain is located on Western Shoshone treaty lands in southern Nevada, and is the site proposed to hold up to 77,000 tons of nuclear waste. Controversy over the site’s usage rages between the government, the power industry and the Shoshone tribe, as well as environmentalists and residents who live in the region of Yucca Mountain. The Yucca Mountain nuclear waste site has been dubbed a proposal for environmental racism, as it compromises Shoshone land and tribal peoples. Calls for reform of the BIA have been centered on the mishandling of trust funds. Carl J. Artman is an enrolled member of the Oneida Tribe of Indians of Wisconsin. He received his B.A. from Columbia College, his Masters in Business Administration from the University of Wisconsin-Madison, and his J.D. from the Washington University in St. Louis, MO. He then earned an LLM in Natural Resources and Environmental Law form the University of Denver and is licensed to practice law in Wisconsin, Colorado and Pennsylvania. Artman served as general manager of development and operations for VoiceStream Wireless. He was also Vice President and then Chief Operating Officer for Airadigm Communications, an Oneida Tribe-owned telecommunications venture. During the 1990s, Artman served on the staff of Republican Representative Michael Oxley of Ohio. He was also Chief Legal Counsel and Director of Federal Affairs for the Oneida Tribe. Before being nominated to Assistant Secretary, Artman was the Associate Solicitor for Indian Affairs with the Interior Department beginning in February of 2006. Artman was confirmed as Assistant Secretary on March 5, 2007. In 2002, Artman was appointed by President George Bush to the White House Advisory Board on Tribal Colleges and Universities. During the presidential campaigns of 2004, Artman sat on the Wisconsin steering committee for the Bush-Cheney campaign. In 2007, Artman contributed to the presidential campaign of Fred Thompson. Artman’s tenure as BIA leader was brief, as he announced his resignation in April 28, 2008, after barely a year in the position. In September 2008 he joined the American Indians for McCain Coalition. I am looking for an application to fill out for my daughter to enroll in BIA. Where do I find the application on line, I am on it now and don't see forms to print or fill out. How do I go about the having blood tested , I have known for years I have Native American blood but just recently have been confirmed but do not know where to start? Can Tribes purchase land surrounding their Reservation, put in trust, then do whatever they want with it? Even if the Neighbors feel it is offensive? Also who or what Agencies have any authority over the Tribe? I need help, my son's fathers family are from the Shoshone Tribe. I have no proof per their birth certificates or anything. My son is 25 years old and I wanted to know if by blood tests, that they can verify that my son is Indian and if he is entitled to anything. Thank you so much for all of your help. How can I get récords and proof that I am of shinicock blood line. I spoke to my grand mother only brother left he disowned the family in1960s.due to a family fued over the family book..his daughter told me that my grandma's mother was 100% shinicock. But he is not willing to give it to anyone. His is the only one left on mother's side (uncle)..he is 86 found him in Florida. Is there any way u can help..
How can I find out if there is a IMM Account from my ancestors or myself? If they did not enrolled on the 1972 Enrollments, can we still claim that as well? Mackinac Bands Tribe Nearly 15,000 Federally Recognized Tribes Members Residing on Treaty Areas such as to name 1; Detroit have been Suppressed and Excluded Discriminated from all programs & services because Sault Ste Marie Band/tribe enrolled 2nd Tribe Members merely to gain a larger headcount when applying for federal grant $ only to Exclude 2nd Tribes Members of Mackinac Bands Tribe from receiving any n all programs n services administered by Sault Tribe. Separation of the 2 federal recognized MI Treaty Tribes can help rebuild MI Economy creating Jobs in both Peninsula's of MI. How can I find out if I have any retirement with the BIA from 1972 to 1979? Larry EchoHawk, President Obama’s choice to head the Bureau of Indian Affairs, was born August 2, 1948, in Cody, Wyoming. A member of the Pawnee Native American tribe of Oklahoma, he is a leading supporter of Native American rights, a Democrat, and a devout Mormon. EchoHawk is one of six children born to a mother with only an eighth grade education. All of her children attended college, four achieved graduate degrees, and three achieved law degrees. The EchoHawk name was given to Larry EchoHawk’s great-grandfather who was a Pawnee scout in the 1800s. Due to his bravery he was given the name hawk, which represents bravery in Pawnee culture. Echo was added because many other tribe members spoke of his actions and thus his deeds were said to echo through the tribe. Although born in Cody, Wyoming, Larry EchoHawk grew up in Farmington, New Mexico. At the age of 14 he met Mormon missionaries by the names of Boyd Camphuysen and Lee Pearson and was baptized into the faith. EchoHawk has provided services to the Church of Jesus Christ of Latter-Day Saints in numerous ways over his lifetime. He has held the positions of stake president, bishop, high council member, and board of trustees member for LDS Family Services, a private nonprofit organization owned and operated by the Church of Jesus Christ of Latter-Day Saints that offers drug and family counseling, adoptive services, and whose main goal is counseling women to avoid abortion. EchoHawk attended Brigham Young University for his undergraduate studies on a football scholarship, where he played the safety position and received his bachelor degree in Physical Education in 1970. He then attended the University of Utah law school, obtaining his JD in 1973. Upon graduation, EchoHawk pursued some postgraduate studies at the Stanford Graduate School of Business. In 1975 he began practicing law in Salt Lake City, Utah. 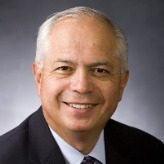 In 1977 EchoHawk became general legal counsel for the Fort Hall, Idaho-based Shoshone-Bannock Indian tribes. He served in this position, often fighting against states’ jurisdiction over tribes, until 1986. EchoHawk first entered politics in 1982, winning a seat in the Idaho State House of Representatives from Bannock County. He held this post until 1986, when he was elected Bannock County prosecuting attorney. In 1990 EchoHawk was elected Idaho Attorney General, becoming the first Native American in any state to be elected to a state constitutional elective office. As attorney general he fought for Indian autonomy from state regulation, but also for state freedom from being burdened with any obligations to Indian gaming. EchoHawk took sides on numerous social issues as well. He backed state legislation to exclude gay and lesbian groups from state funding and to restrict classroom discussions, research projects, and library holdings from covering gay or lesbian topics. EchoHawk wrote, “Academic freedom at public universities would be curtailed to ensure public funds were not expended in a manner that could have the 'effect' of 'expressing approval' of homosexuality.'' He also supported a state bill allowing the state to more severely punish pregnant women found to be doing drugs. While he was state attorney general, EchoHawk also served as national co-chair for Native Americans for Bill Clinton’s 1992 presidential campaign, and was invited with his wife to spend a night in the White House. He was also a principal speaker at the 1992 Democratic National Convention. In 1994 EchoHawk ran for governor of Idaho when fellow Democrat Cecil B. Andrus retired. He won the primary and led Republican Phil Batt in the throughout most of the general election campaign. Yet EchoHawk ended up losing. Controversy related to his complicated stance on abortion may have had a hand in this. During the campaign, EchoHawk flew to Utah to participate in fundraisers put on by the Mormon Church. Questions arose over his connection to the church and many voters may have been alienated. EchoHawk also was indecisive on the issue of abortion. He is pro-life, yet he vowed not to change Idaho’s existing abortion laws, which allow abortions, and he supported state abortion funding for low-income pregnant women. Pro-lifers felt he was not fighting for their cause, while pro-choicers did not agree with his personal stance. EchoHawk has not run for elected office since then. Shortly after his defeat in the gubernatorial race, EchoHawk accepted a faculty position at Brigham Young University’s J. Reuben Clark Law School in 1995. He taught courses on criminal law, criminal procedure, and federal Indian law, and published numerous academic papers on Indian land issues, treaty rights, jurisdiction, and justice. On April 10, 2009, President Obama nominated EchoHawk to become the Assistant Secretary for Indian Affairs within the Department of the Interior. Larry EchoHawk and his wife Terry, author of a children’s book, Call Me Little Echo Hawk, have six children and many grandchildren.